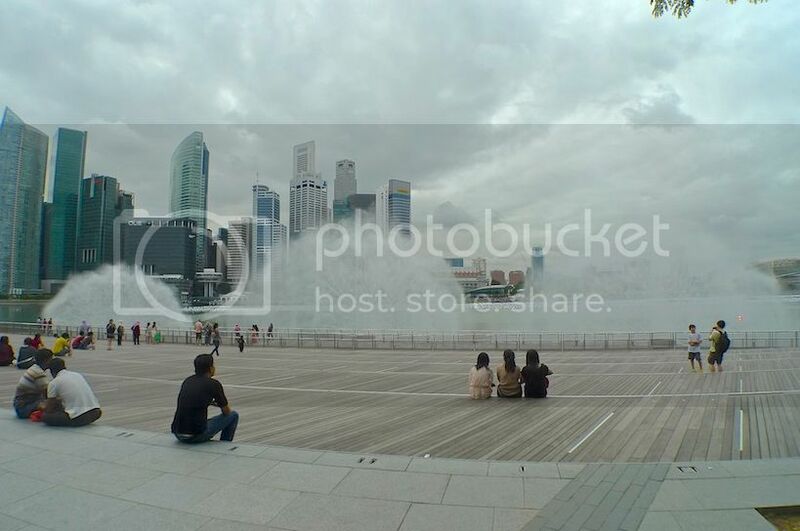 During Christmas Day last year, I went to Singapore with my friend Jim for a one day trip to visit Gardens by the Bay. 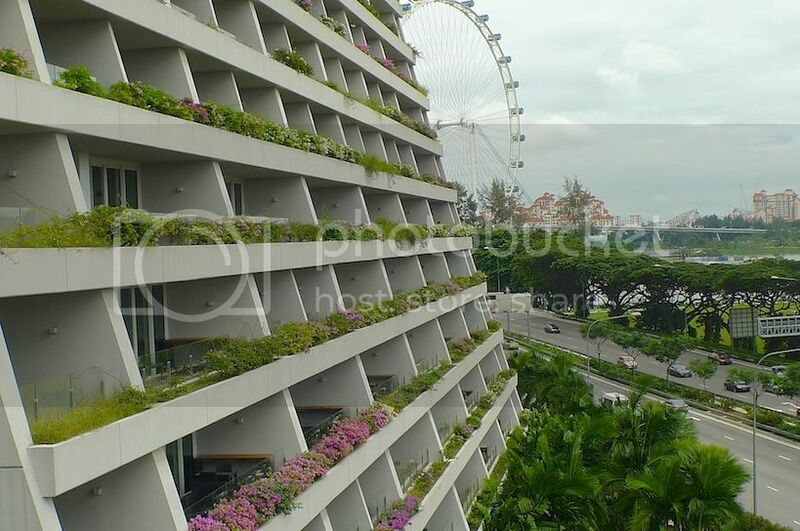 Read all about my experience at Gardens by the Bay HERE. 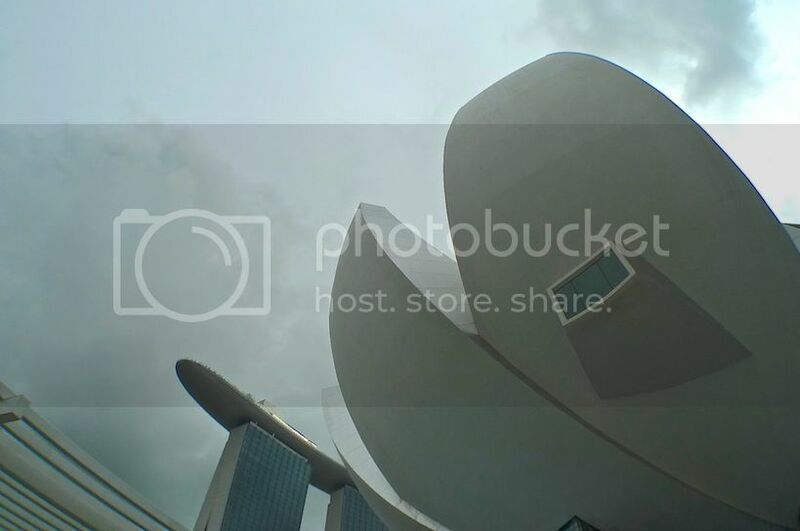 After we left Gardens by the Bay in the late afternoon, we crossed over to the iconic Marina Bay Sands opposite. 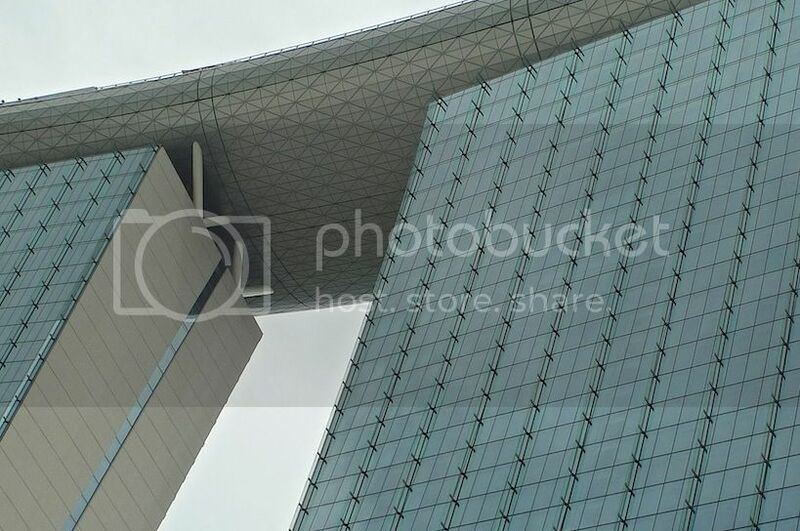 Walking along the bridge, I took some pictures of the awesome looking building. 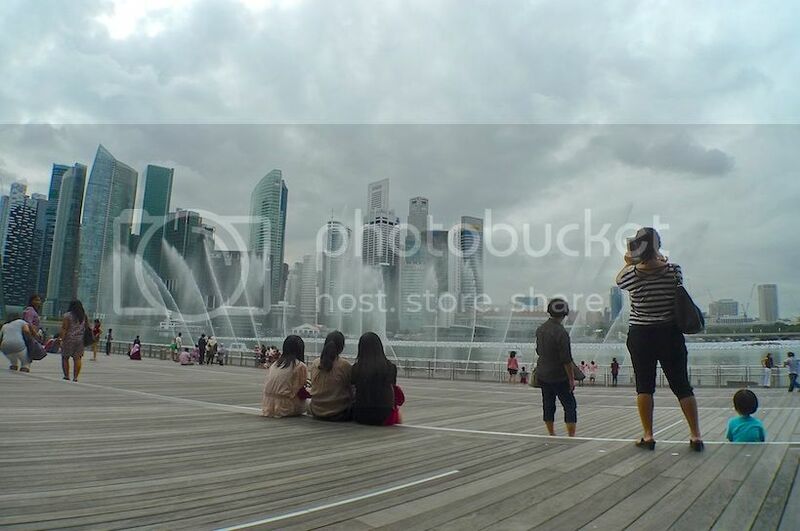 Marina Bay Sands is an 'integrated' resort (a euphemism for casino-based vacation resort) fronting Marina Bay. Developed by Las Vegas Sands, it is billed the world's most expensive stand alone casino property at SGD8 billion (USD6.5 billion / RM19.3 billion)! 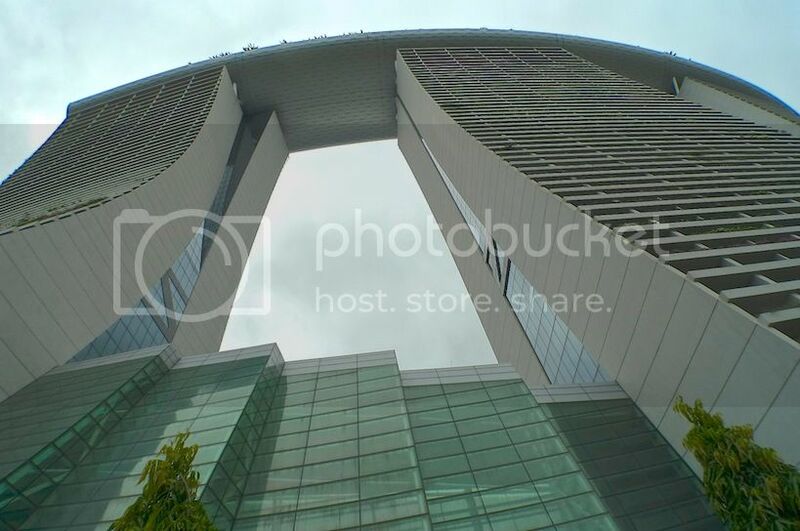 I was right under the building, in between two of its three 55-storey towers which are connected by a sky terrace on the rooftop called Sands SkyPark. The SkyPark contains the world's longest infinity swimming pool. Unfortunately, I did not manage to go up there to see the pool for myself. Next time maybe. 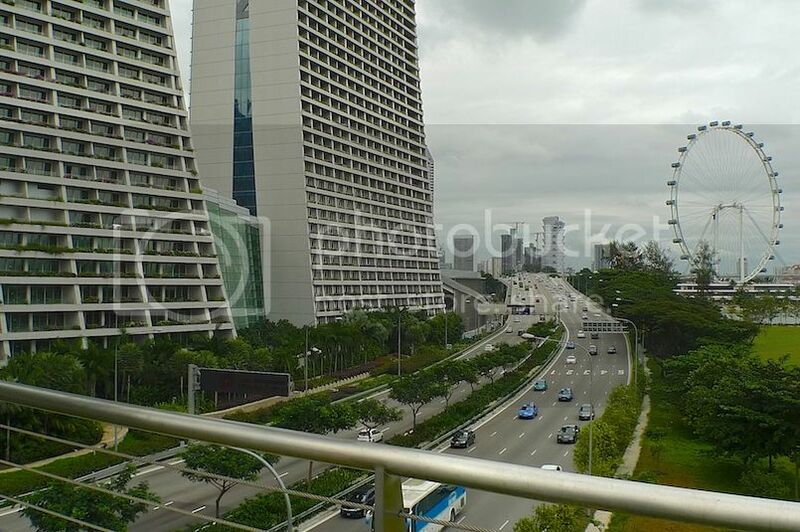 If you are not staying at the hotel, you cannot swim at the pool but you can access the Skypark Observation Deck by purchasing a ticket (SGD20 per person). 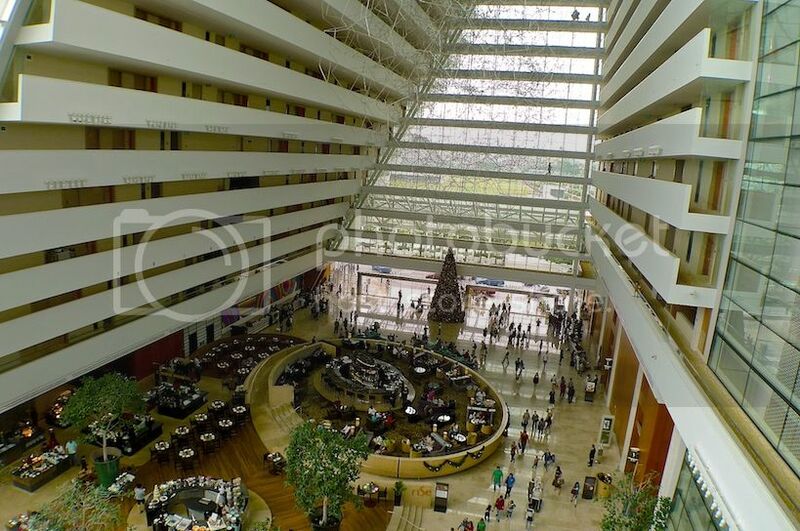 This is the view of the resort interior. 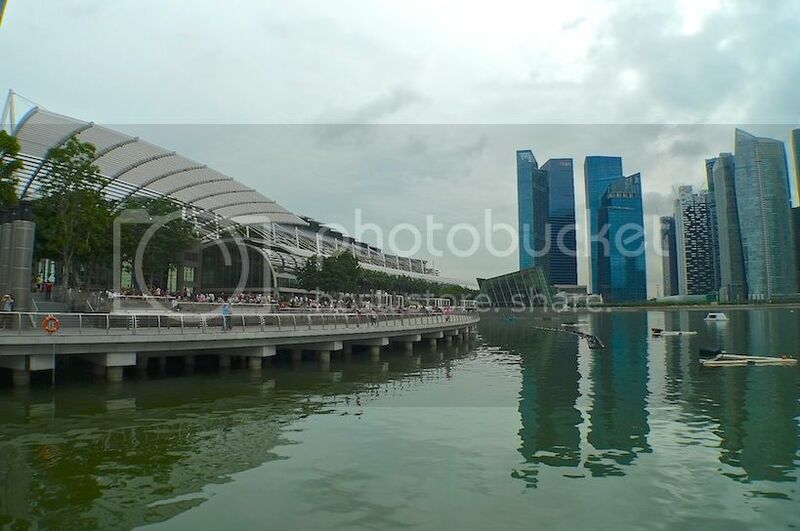 Besides the hotel, Marina Bay Sands also consists of an exhibition centre, a shopping mall, a museum, 2 large theatres, 7 "celebrity chefs" restaurants, an ice skating rink, 2 floating Crystal Pavilions, and the world's largest atrium casino. 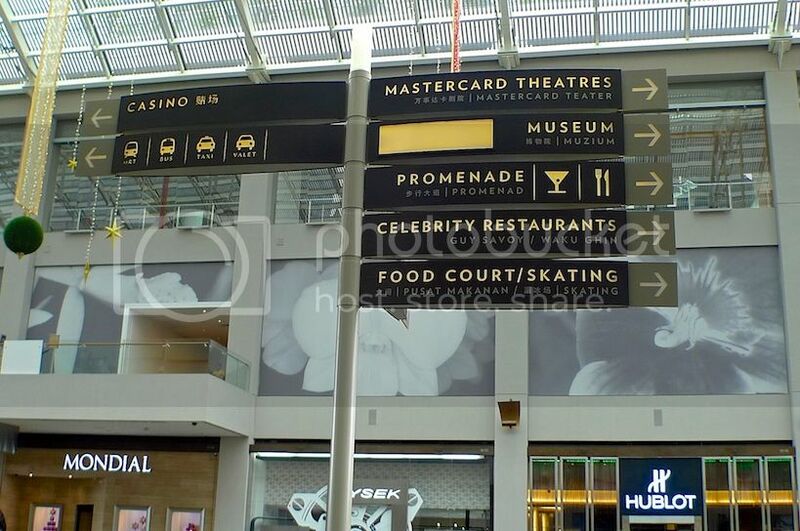 Currently, there are 2 casinos in Singapore. 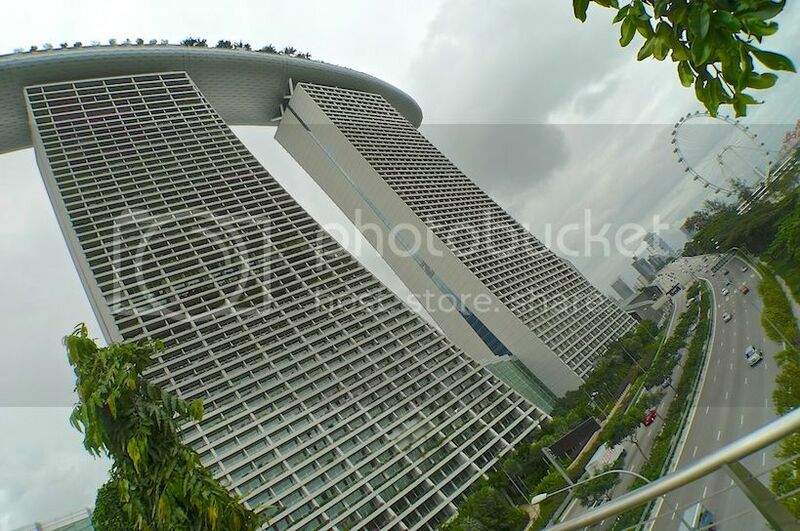 One is at Marina Bay Sands. The other is at Resorts World Sentosa, which was developed by the Genting Group which owns Resorts World Genting in Malaysia and Resorts World Manila in Philippines. 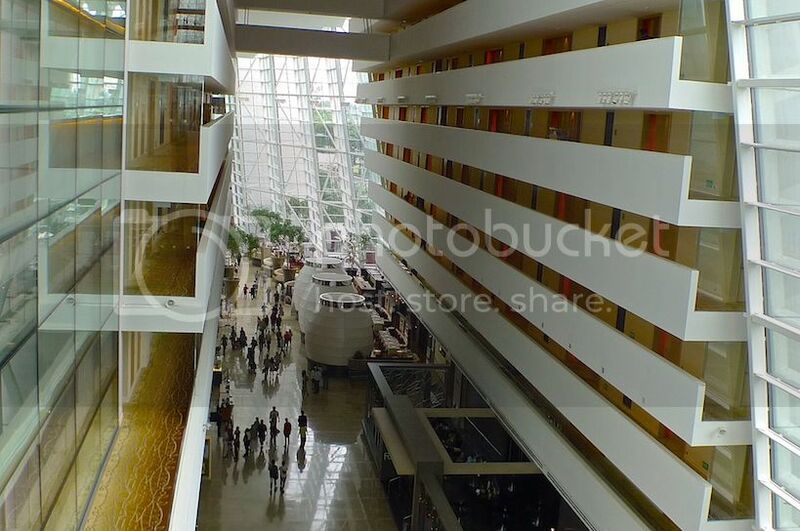 I took the above picture of the three towers as we left the hotel and walked towards the shopping mall called The Shoppes. 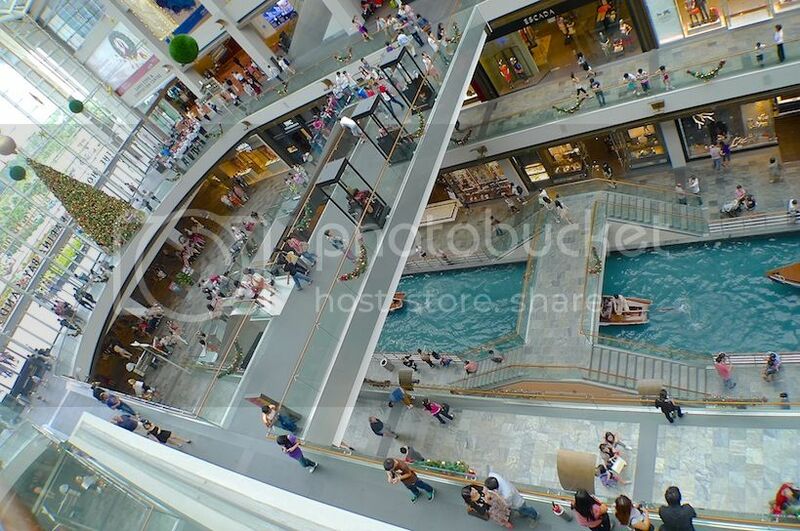 This is the view inside The Shoppes. A signboard showing directions to all the major attractions. 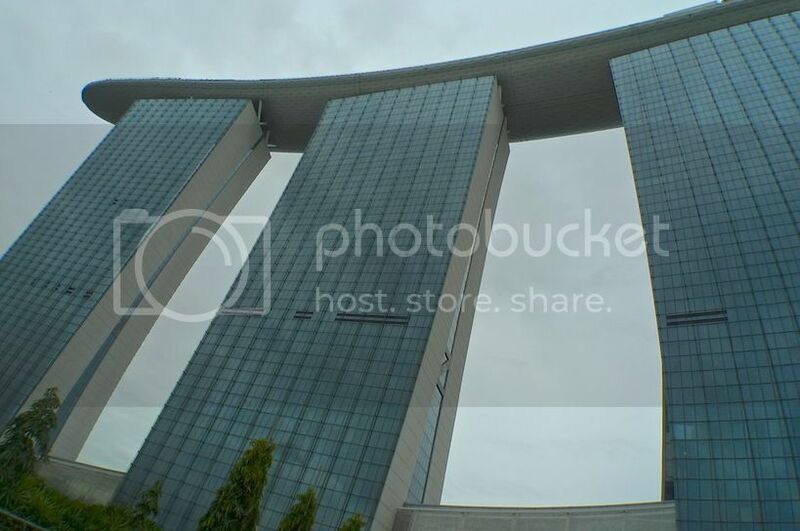 As time was short, we did not get to enter the casino at Marina Bay Sands. Well, maybe next time! 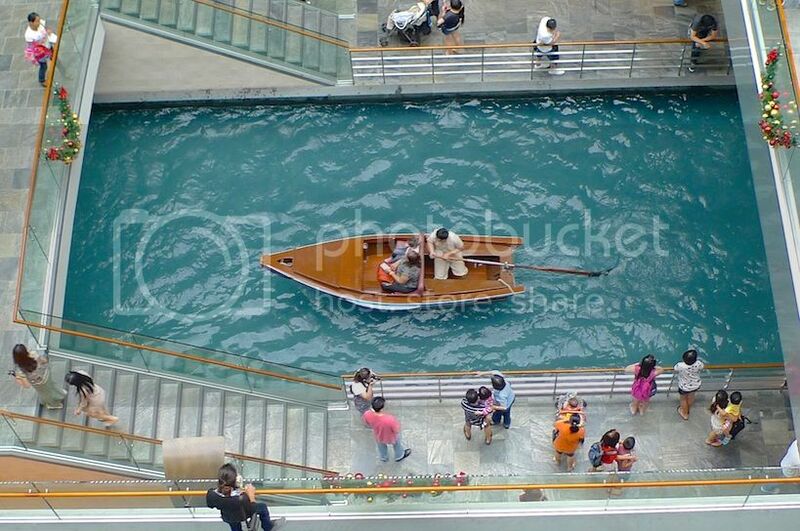 I was surprised to see a canal running through the length of the shopping mall with boat rides similar to the Venetian. 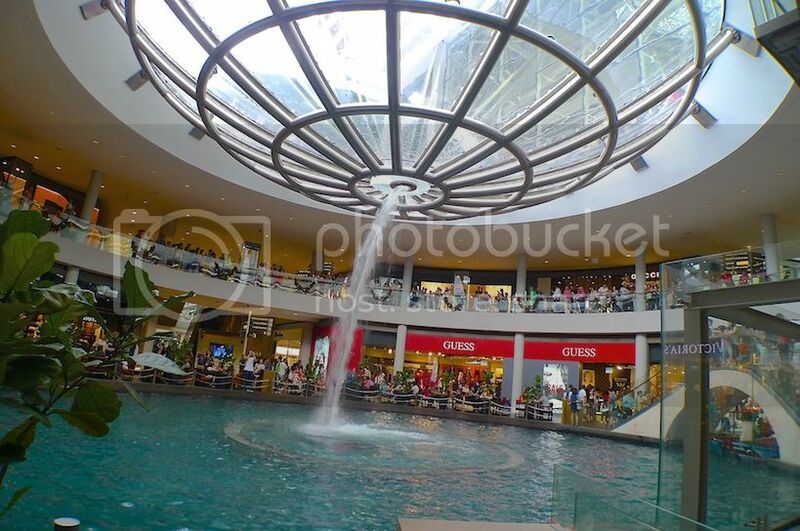 Actually, this also reminds me of Malaysia's Mines Shopping Centre at Mines Wonderland (which also have canal and boat rides) although the Mines is much smaller and older. As it was the Christmas season, The Shoppe was decorated with Christmas trees and other Christmas decorations. 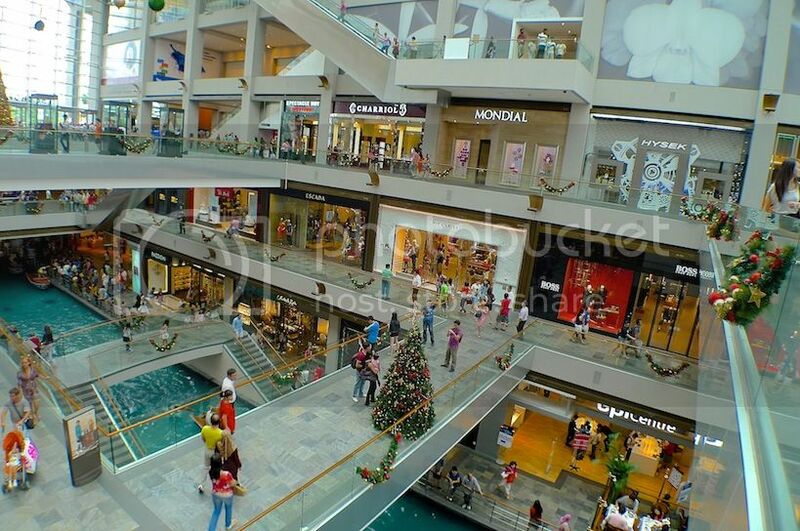 There were many branded retails shops and luxury boutiques. It was mainly window shopping for me as I did not think I could afford anything there! LOL! Oh! 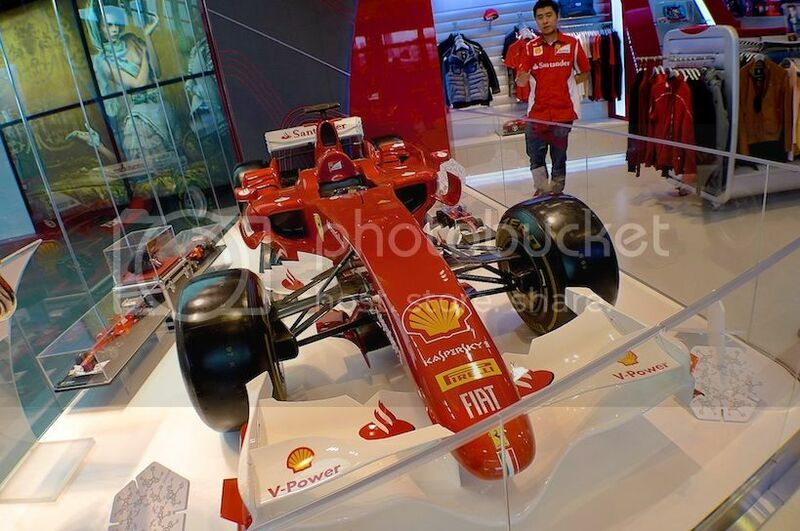 I spotted this F1 Ferrari car and quickly took a snap of it before being stopped by that man. No pictures allowed, he said. Sure! I will delete my picture....NOT! Haha. Jim had to leave and so we said farewell and parted ways. I had enjoyed my Singapore trip and Legoland trip with him so it was a bit sad to see him leave. 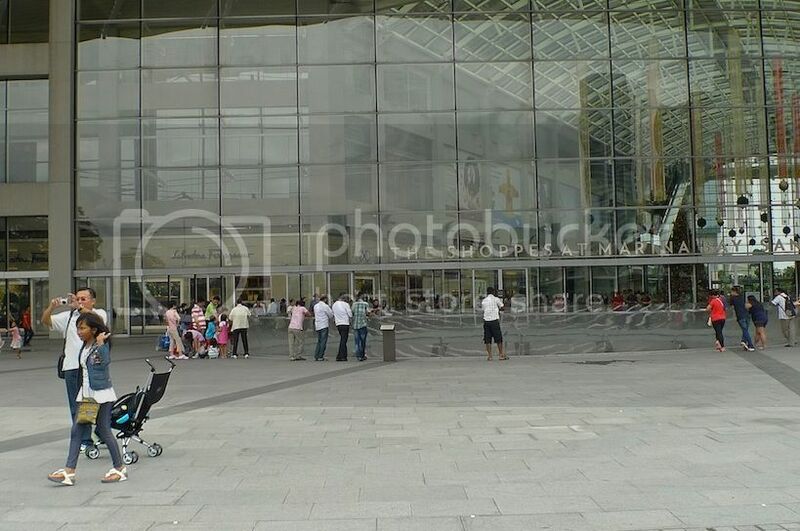 Anyway, left on my own, I walked for some time inside the mall before going outside. There were many people standing outside looking down at something. What were they looking at? Curious, I walked over and was stunned. What the heck is this?! It was HUGE. Gigantic is probably the better word to describe this giant bowl-like sculpture. There were people throwing coins into it! Is it some sort of a modern wishing well? I was stumped. I just stood there waiting and wondering, when it came. 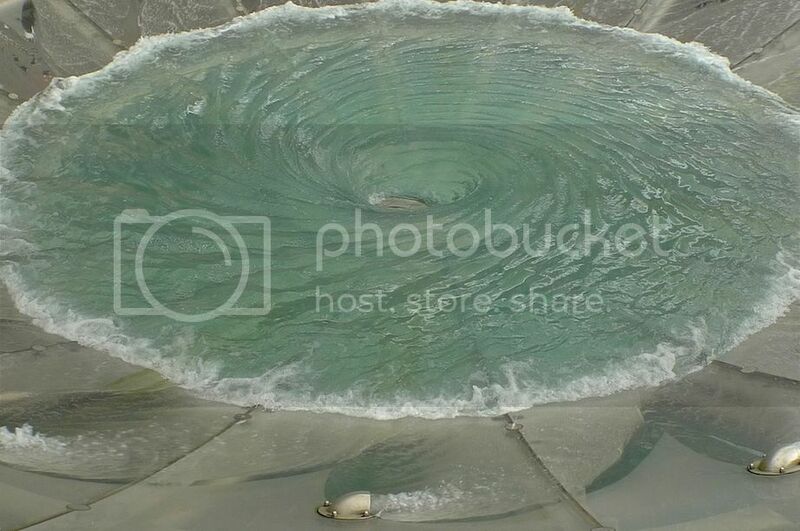 Swirling round the pool, the water created a gigantic whirlpool! It was a pretty stunning sight. But where does the water end up? 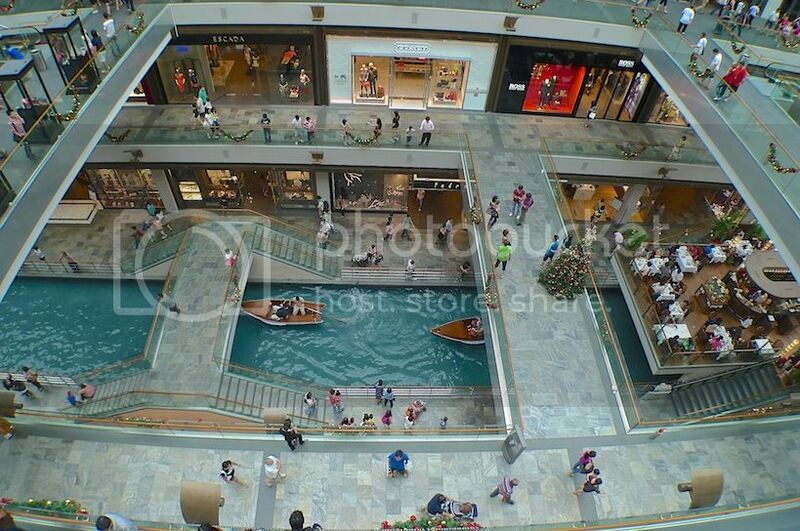 It was only much later when I discovered that the water actually fall 2 stories down to the canal inside the shopping mall. How awesome!! 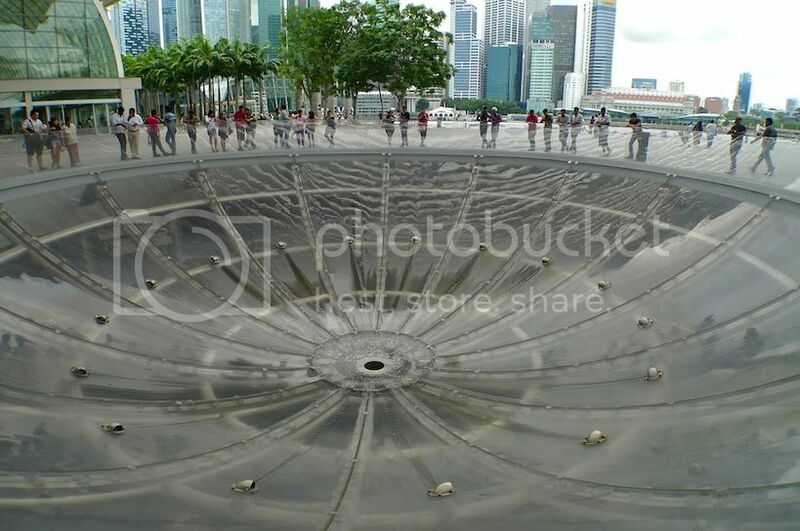 When I returned from this Singapore trip, I googled and found out that this amazing whirlpool sculpture is called the Rain Oculus, created by US artist and sculptor Ned Kahn. 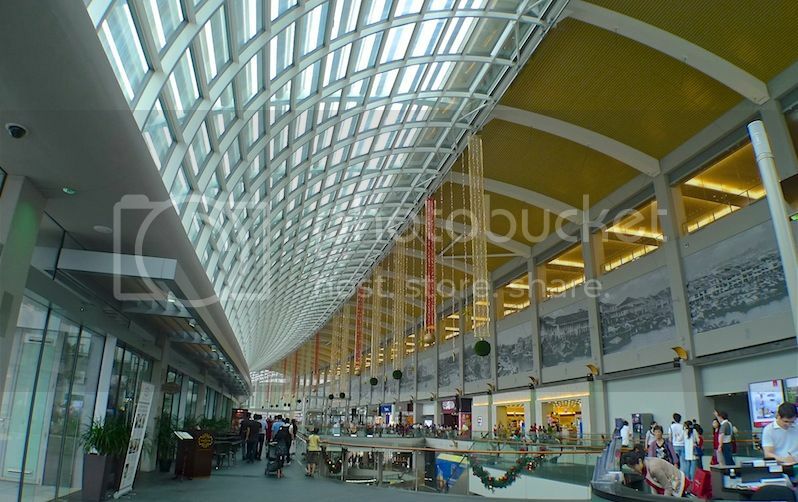 This acrylic and stainless steel artwork functions as a kinetic sculpture, a skylight and waterfall for the retail mall below. It is also part of the building's rain-collecting system. 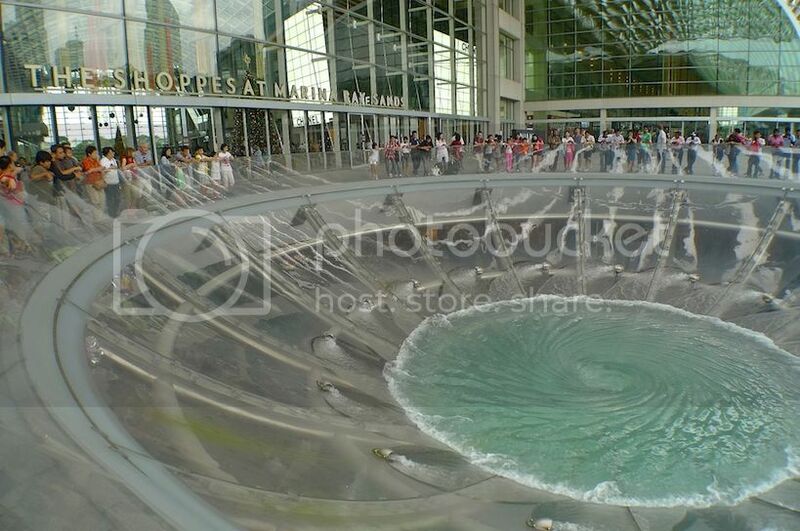 It is said that the 22-metre wide whirlpool circulates about 6,000 gallons of water per minute! But there is one secret not many knows about this Rain Oculus - it can transmit sound! I did not put this to the test since I only learnt about this secret after I returned from Singapore. Apparently, if you were to stand at the giant structure, you will be able to hear conversations of other people who are standing around it! It seems that sound can travel across the Rain Oculus due to its shape and structure. But amazingly, it can only do that as long as the water flows. Once the water stops flowing, the ability to transmit sound also stops. Watch a YouTube video of the Rain Oculus in action at the bottom of this post! 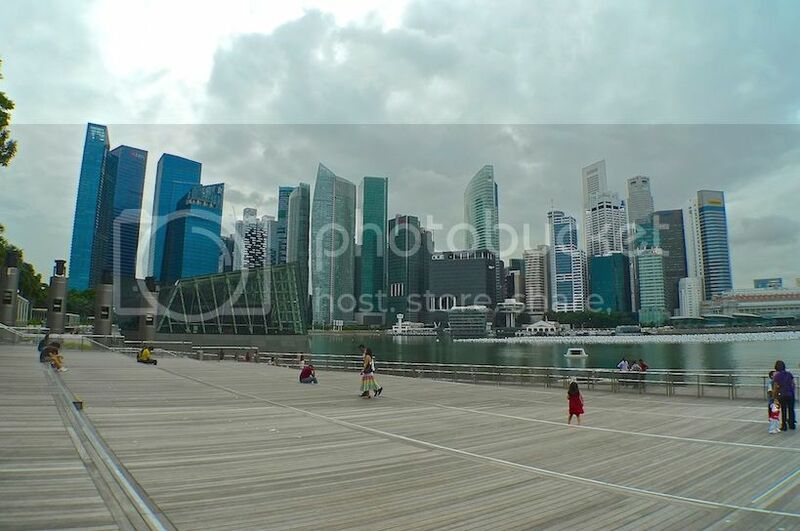 The Waterfront Promenade with its many tall buildings on the other side was quite an amazing place. 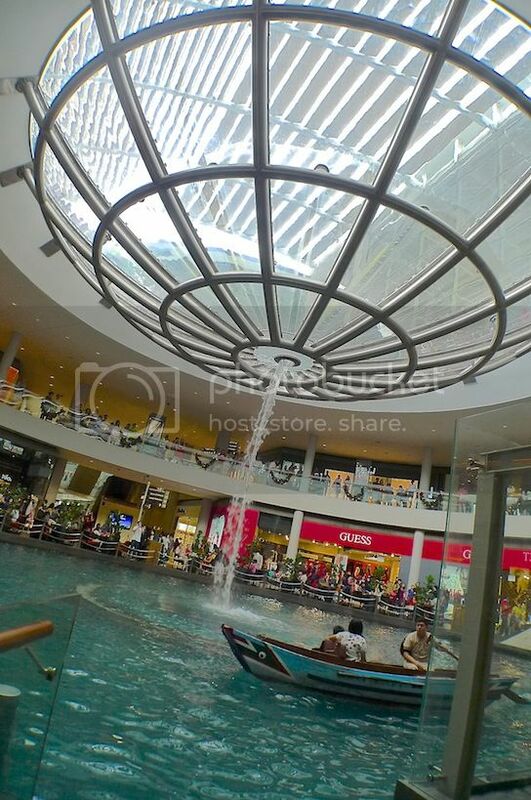 It reminds me a little of Malaysia's Suria KLCC with its dancing water fountains. It would probably be more beautiful with colored lights at night. I sat down for a while to enjoy the water fountain display. Somewhere in the middle of the river are two floating Crystal Pavilions. I walked the bridge onto one and took a picture shown below from there. One of the floating pavilions houses 2 international renowned nightclubs - Avalon and Pangaea. 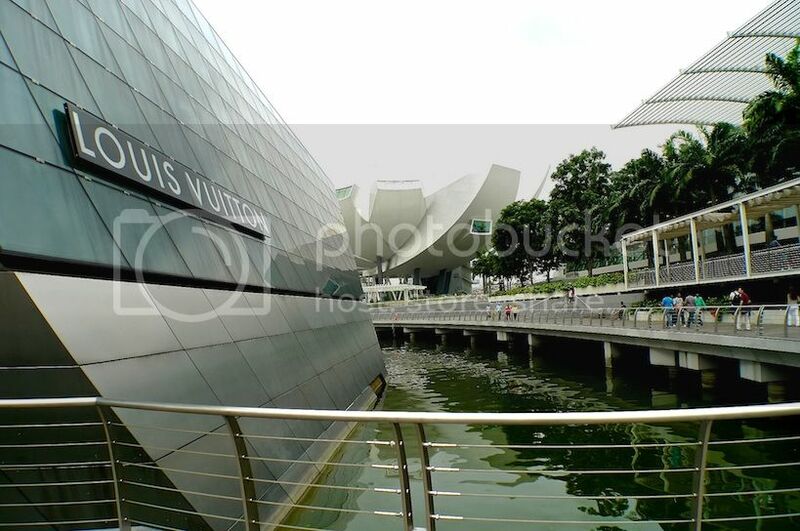 The second pavilion houses the world's largest Louis Vuitton boutique! 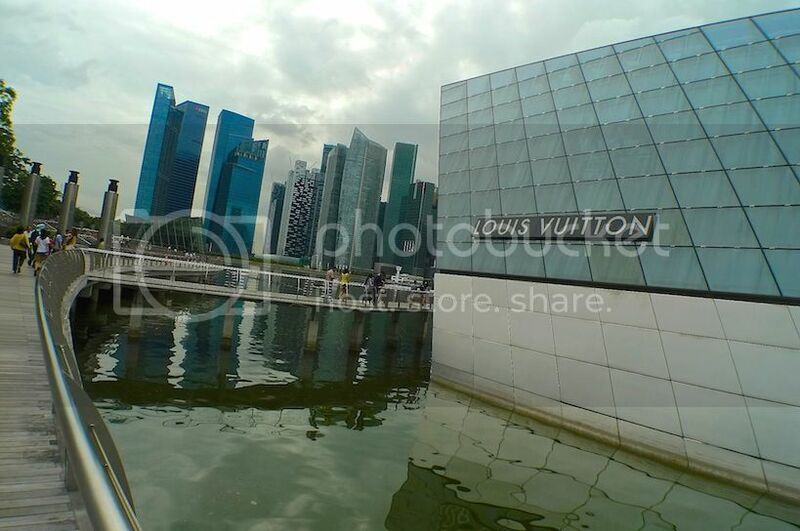 I was really quite impressed with this floating Louis Vuitton building! It was simply stunning. 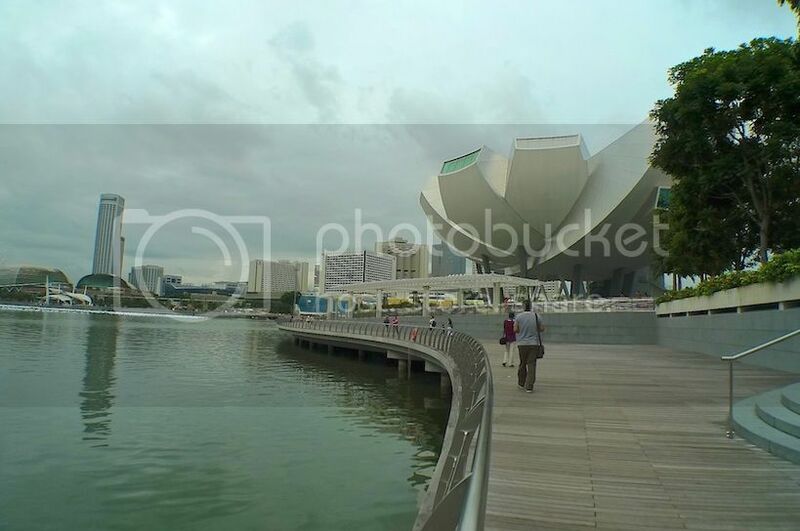 Not far away, I could see the ArtScience Museum. 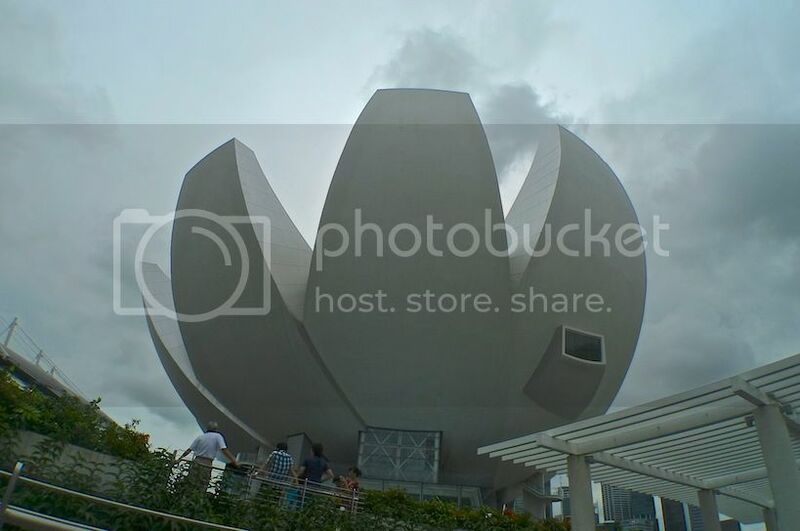 Shaped like a lotus flower, this ArtScience Museum is designed by architect Moshe Safdie. It has its own permanent art exhibitions and also hosts touring exhibitions curated by other museums. I did not have time to visit the art galleries although I managed to take a photo of the Christmas Lego tree inside. You can see a photo of the Lego tree HERE. 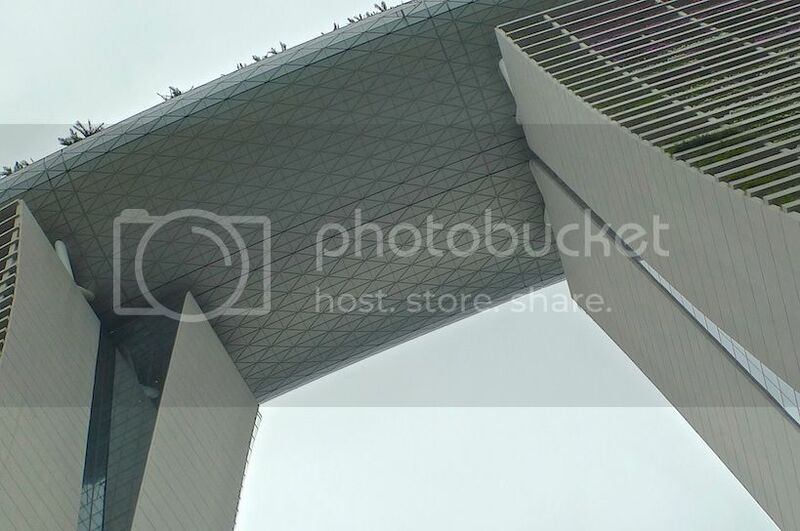 Overall, I enjoyed my tour of Marina Bay Sands but if I ever visit this place again, I will check out the casino, go up the Skypark Observation Deck to see the infinity swimming pool, visit the ArtScience Museum and probably catch one of the live shows at the theatres here. As it was getting dark, I decided to quickly take the MRT to Orchard Road to catch the Christmas decorations there. 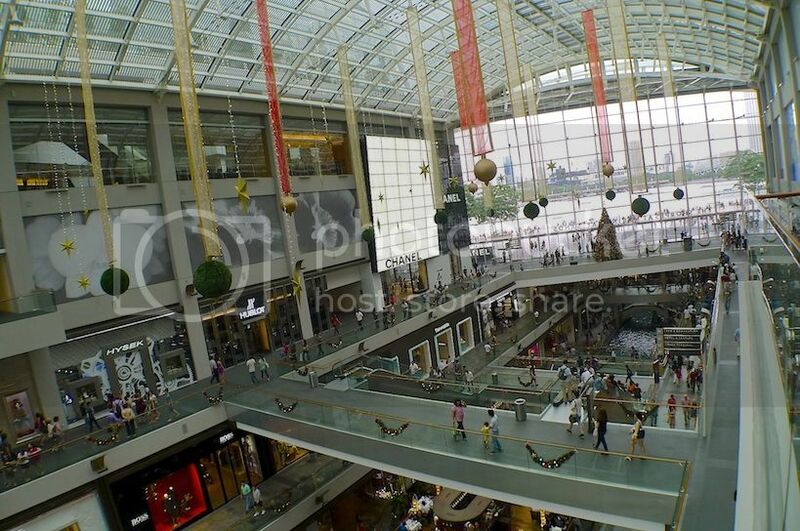 I have already blogged about the Christmas decorations at Orchard Road so you may read it HERE. 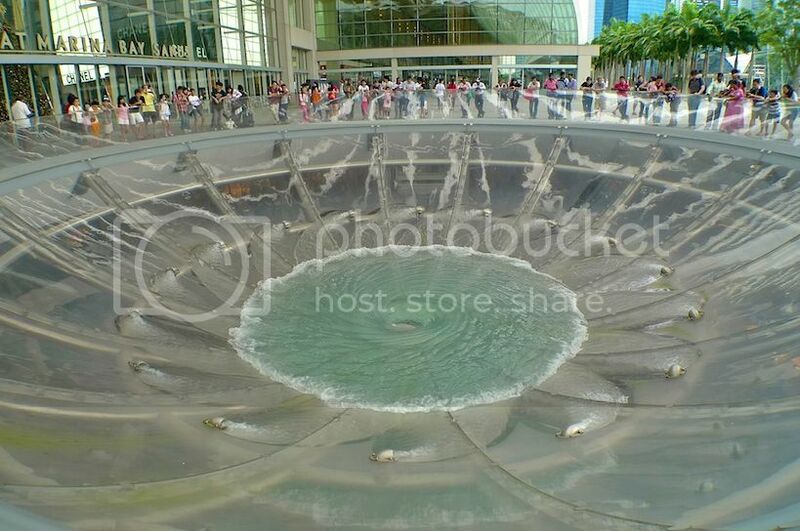 The most unique and memorable thing about Marina Bay Sands was of course the Rain Oculus whirlpool. Here's a YouTube video of the Rain Oculus in action. 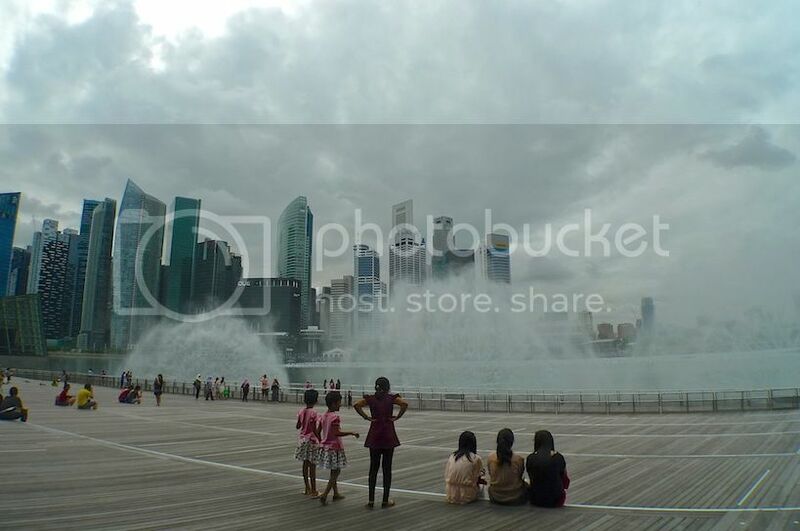 This is the last post about my one-day Singapore trip last December. In case you missed any post, feel free to click on the links below.